Creative fare served in a convivial environment on the northern edge of downtown Santa Barbara. : Well-executed creative fare is the hallmark of Jane. You can find everything from a Greek salad to Italian pastas. If you’re in the mood for steak, a flat-iron is grilled to a savory peak and served with pearl onions and balsamic demi-glace. Duck breast is paired with seasonal fruit and a citrus and port reduction, and the signature Idaho trout is finished with a creamy dill dressing. While the wine list is small, bottle prices are quite reasonable. Owner Jane Chapman knows the restaurant business; her parents opened the nearby Montecito Café. This one is named for her grandmother, whose photos adorn the room. 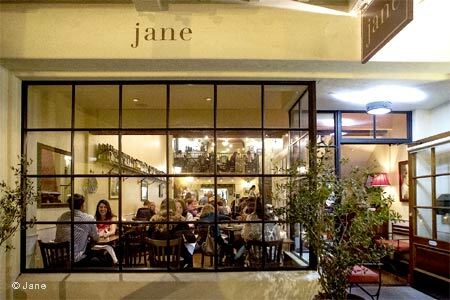 Located on the northern edge of downtown Santa Barbara, Jane is convenient yet just far enough removed from the hustle and bustle, but is undeniably noisy at peak times.